Ok, first a report on speaker diversity workshops ran since our last meeting. Verona, Italy ran the workshop last week. At least a couple more are scheduled in early June. We haven’t run any trainings as I’ve been focused on the logistics of trainings for our team. I’ve been having folks fill out a doodle poll. If you haven’t yet, please do! This is for running a training just internal for our group, so that more of our own members can start running it themselves. The best dates right now are Monday, June 4, Wednesday, June 6, and Wednesday, June 13. June 13 has the highest but I feel like it’s far away. I’m thinking we should run one sooner. The folks who can’t make it those 3 days have different availabilities from each other. I had been thinking I’d run a second one, but a third might be needed…..? Also I haven’t asked him yet but it’s possible that @lswanson could run one on a weekend if that would be helpful for people. Any thoughts from those here today on the current votes and if a weekend day would be useful? Alright, well I’ll chat with folks about it. So for the rest of the time I wanted to talk about obstacles you’re having to running the workshop. As mentioned last week, we’re a microcosm of the larger community. Our obstacles reflect what we’ll be helping folks with. @caroleo, I know you’ve been working through some issues for running it. Can you remind us what those were? 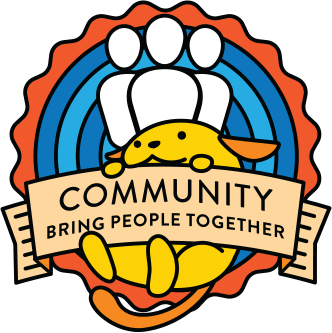 I was and I am involved in the organisation of 3 different WordCamps in the past 8 months. I think you said you’d be able to do it later in the year, possibly? Were you the one asking about venue sponsorships? It’s getting better for me after WCEU. Yes, that should be feasible. Yes, I can do a weekend training in June. June 2 and 23 best bets for me, but I can work with Doodle results. Great! Let’s PM about times on those days and I’ll add them. If people want weekend dates. I’ll check. I think I could run it if there’s a meetup that wants it. Alright! Nothing to figure out on this topic today. That’s ok! Let’s wrap up in 10 min. Does anyone have any questions, concerns, comments, etc on this or anything else in our group’s work? Between Confab last week and long holiday weekend, I’m a little discombobulated – should be back on even keel by weekend. Thanks, @lswanson! We knew in advance that that was happening. Thanks again for the work you’re doing behind the scenes on the material for our two trainings: the main workshops and the training to teach people how to run the workshops! We’ll stay in touch on it, of course. The Training team has asked me to give a report in tomorrow’s meeting about where our materials are at. You sound busy Larry so I’ll do up the report, but if you have the time to look it over before tomorrow at noon that would be helpful. Assuming the train-the-trainer lesson plan should still top my list? Yes. The other one is waiting for me to send you items. And it is lower priority. Let me know if you want weekend dates for our internal trainings. Larry is available June 2 and 23. The ones who can’t make those days have scattered availability. What should we do for that? Alright. Thanks all for joining today. I feel that we’re in a great spot of forward motion and I’m looking forward to what we’re doing next, having more folks in the team run the workshop and then be more empowered to do more within the team!